Revelation 5:11, I looked, and I heard around the throne and the living creatures and the elders the voice of many angels, numbering myriads of myriads and thousands of thousands. In 5:12 with a loud voice,“Worthy is the Lamb Jesus who was slain to receive power, wealth, wisdom, might, honour, glory and blessing!”God avenges blood of Jesus and the saints upon all those who reject God and refuse to repent. God by His Genuine Miracle Mighty Power can deliver to stop whatever is decided by rebellious permissive will. In Revelation 6:8-9, death and hell are given power over the 4th part of earth to kill with sword, hunger, beasts of earth. 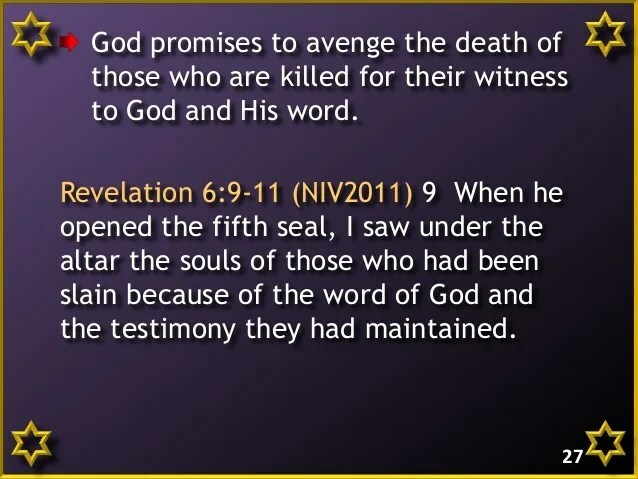 9 When 5 seal opened, under the altar was the souls of those slain for the word of God, and for the testimony of Jesus Christ which they held 10 And they cried with a loud voice, saying, How long, O Lord, Holy and True, dost thou not judge and avenge blood on them that dwell on the earth? 11 And white robes were given to them; and it was said unto them, that they should rest yet for a little season, until their fellow servants and their brethren should be killed as they were, should also be fulfilled. The Bible warns on end-time issues in light of God’s Grace, Compassion, Mercy. God is patient and long-suffering so tolerates and forgives people to come to accurate knowledge of true God to stop rebellion against God’s saints. In Daniel 3:17-18, Daniel said the God he served is able to deliver, but if God Chooses not to deliver, they will not serve other gods. In Philippians 2:5-11, Jesus lived in all humility in obedience crucified to the point of death on the cross obeying God. So have this mind among yourselves, Paul says in Philippians 1:21, “To live is Christ and to die is gain because believer’s are God’s property and servant’s so has portion in Christ. The martyred soul proves to satan his worst punishment leads to Jehovah God’s honour, glory, rewards, family reunions. To be alive fulfils God’s purpose on earth to teach transgressors God’s Way to convert sinners to Christ to encourage fellow believers. According to Psalm 51, God forgave David’s sin of murder. The most notorious die- hard anti-Christ Saul persecuted Christians but converted to Paul by God’s Grace and Mercy. Those saved in Christ have assurance of salvation and eternal life received through the Grace of God. Those who died in Christ gain eternal life with God in the resurrection. Death was contrary to God’s Original Plan but those who refuse God’s Grace will be killed by Christ Jesus and God Himself. The command by God to kill all inside a city is seen by many as immoral cruelty, inconsideration of God. God forewarns and gives 1000’s of years of opportunities to repent. When God’s Time for Gentiles is fulfilled God’s wrath is unleashed. In Revelation. 11: 5 if anyone would harm His saints, fire pours from their mouth and consumes their foes. If anyone would harm them, he is doomed to be killed. 6 They have the power to shut the sky, that no rain may fall during the days of their prophesying, and they have power over the waters to turn them into blood and to strike the earth with every kind of plague, as often as they desire. 7 And when they have finished their testimony, the beast rises from the bottomless pit to make war on them and conquer them and kill them, 8 and their dead bodies will lie in the street of the great city symbolically called Sodom and Egypt, where their Lord was crucified. 9 For 3 and 1/2 days peoples, tribes, languages, nations will gaze at their dead bodies and refuse to let them be placed in a tomb, 10 and those who dwell on the earth will rejoice over them and make merry and exchange presents, because the two prophets tormented those who dwell on the earth. 11 But after 3 and 1/2 days, breath of life from God entered them, and they stood up on their feet, and great fear fell on those who saw them. 12 Then they heard a loud voice from heaven saying to them, “Come up here!” And they went up to heaven in a cloud, and their enemies watched them. 13 And at that hour there was a great earthquake, and 1/10 of the city fell. 7000 people were killed in the earthquake and the rest were terrified and gave glory to the God of heaven. Every creature in heaven, on earth, under the earth, in the sea, all that is in them, saying, “To him who sits on the throne and to the Lamb be blessing, honour, glory, might forever and ever! ”In revelation 17:6 mystery Babylon is drunken with blood of saints and the blood of martyrs of Jesus. This wonder of perdition caused so much destruction. So they that dwell on the earth shall wonder, they whose name has not been written in the book of life from the foundation of the world, when they see the beast, how that he was and is not. And shall come, 10 the 7 kings and 5 will fall then 1 remains. The 7th yet come must continue a little while. 11 The beast that was and is not is the 8th. In addition, the 7th goes into perdition. 12 And 10 horns are 10 kings who received no kingdom yet but they receive authority as kings with the beast for 1 hour.13 These have one mind and give power and authority to the beast.14 These shall war against the Lamb, and the Lamb shall overcome them, for He is Lord of lords and King of kings and they shall overcome those with him called and chosen and faithful. 15 And he said to me, The waters you saw where the Babylon harlot sits are peoples, and multitudes, nations, tongues, and languages 16 The 10 horns and beast hate the harlot so make her desolate, naked, eat her flesh and burn her utterly with fire hence the destructions. In Revelation 1717 For God did put in their hearts to do His mind, plans, thoughts to come to one mind to give their kingdoms to the beast until the words of God should be accomplished. So God deludes them to become victims of their own doing. By usurping God’s Authority and Power, in the process to create a super amalgamated conglomerate super power damage themselves. Their audacity to disenfranchise people refuses to apply Godly principles therefore incur God’s wrath. So by challenging and abandoning sound Godly principles, cause chaos displeasing to God. 18 And the woman is the great city, Babylon which reigns over kings of the earth led to Armageddon. In Revelation 18:24 in Babylon was found the blood of prophets, saints, and of all slain upon the earth. Psalm 105:25 He turned their heart to hate his people to deal subtly with God’s servants. God’s punishment is reserved for those refusing to repent and accept God’s salvation plan. The Lord is Exalted because, in Isaiah 33:1, woe to destroyers while you were not destroyed. And he who is treacherous, while others did not deal treacherously with him. As soon as you finish destroying you will be destroyed; As soon as you cease to deal treacherously others will deal treacherously with you. 2O LORD, be gracious to us; we have waited for You. Be their strength every morning, Our salvation also in the time of distress. In Genesis 19;13 because of going to destroy others, the outcry to the Lord God against such people so great He will send others to destroy them. Basically, God metes out to the destroyer what they sow eventually. God warns all by giving the opportunity to repent. Especially anyone in Jeremiah 23 that destroys and scatters the sheep of God pasture. Those who walk after the imagination of their own heart saying no evil shall come upon you. And they lived, and reigned with Christ a thousand years. In Revelation 19:9, then the angel said to me, “Write this: Blessed are those who are invited to the wedding supper of the Lamb!” And he added, “These are the true words of God.” Proverbs 21:1 The king’s heart is in the hand of the LORD, as the rivers of water so God lets them delude themselves in rebellion against God. Revelation 20:1-4, an angel coming down out of heaven, having the key of the abyss and a great chain in his hand. 2 And he laid hold on the dragon, the old serpent, which is the devil and satan, and bound him for 1000 years, 3 and cast him into the abyss, and shut it, and sealed it over him, that he should deceive the nations no more, until the 1000 years should be finished: after this he must be loosed for a little time. 4 And I saw thrones, and they sat upon them, and judgement was given unto them: and I saw the souls of them that had been beheaded for the testimony of Jesus, and for the word of God, and such as worshipped not the beast, neither his image, and received not the mark upon their forehead and upon their hand. In Revelation 20:4 And I saw thrones, and they sat upon them, and judgement was given unto them: and I saw the souls of them that had been beheaded for the testimony of Jesus, and for the word of God, and such as worshipped not the beast, neither his image, and received not the mark upon their forehead and upon their hand; and they lived and reigned with Christ 1000 years. In Revelation 21:4, the tabernacle of God is with men, and He shall dwell with them and they shall be His peoples, and God himself shall be with them, and be their God. He shall wipe away every tear from their eyes and death shall be no more; neither shall there be mourning, nor crying, nor pain, any more: the first things are passed away. In Revelation 21:5, He that sits on the throne said, Behold, I make all things new. And He said, Write them down for these words are faithful and true. 6 And He said, They will come to pass. I am the Alpha and the Omega, the beginning and the end. I will give unto him that thirsty the fountain of the water of life freely.7 He that overcomes shall inherit these things and I will be his God, and he shall be my child. 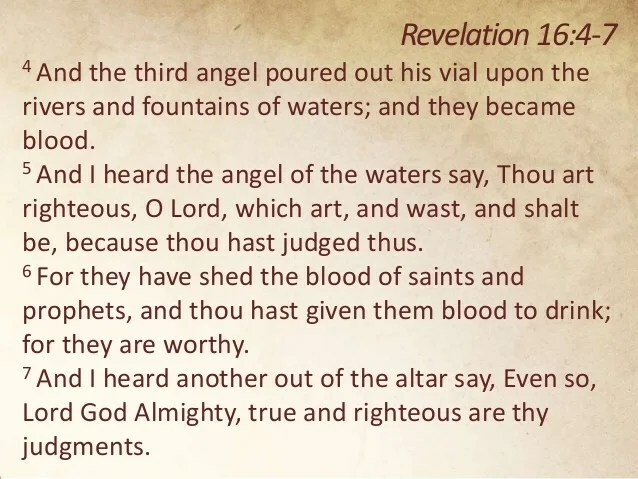 In Revelation 16:5-9, And I heard the angel of the waters saying, Righteous art thou, who art and who wast, thou Holy One because of God’s Justice upon the anti-Christ. 6 for they poured out the blood of saints, prophets and blood hast thou given them to drink so they are worthy.7Those under the altar said, Yea, O Lord God, the Almighty, true and righteous are thy judgements. The destructions of the most holy saints brings highest glory and honour before God. The eternal saints will rise again to eternal life but the anti-Christ enemies of the church will perish in hell torment and fire. Elect must swiftly arise with urgency by crying out desperately for God’s Divine intervention to shorten the days as God Promised. 8 The 4th bowl poured upon the sun scorched men with fire.9 Men were scorched with great heat and they blasphemed the name of God who has power over these plagues; and they repented not to give him glory. The rapid succession of terrible actions by many anti-Christ attacks are in fulfilment of beginning of great tribulation. The souls of saints will be resurrected to show God’s Mighty Power in defeat of death of anti-Christ spirit manifested by those whose conscience is seared against True Living God. The heart of man is so desperately wicked that the most severe miseries, sanctions, austerity never bring repentance without the special grace of God. The intensity and depth of their sinful atrocities were in equal measure of punishments. All things throughout their earth, air, sea, rivers, cities all are condemned to ruin, accursed for the wickedness of God’s people. No wonder angels who witnessed their evil deeds cannot wait any longer to execute Divine vengeance on the obstinate haters of God. Christ and all in holiness, praise God’s justice, truth and adore God’s awful judgements. God will avenge and bring upon cruel persecutors exact tortures they made his saints and prophets to suffer in everlasting fire. In Revelation 22:16 Jesus sent John into heaven plus the angels testify these things for the churches. Jesus is the root and the offspring of David, the bright, the morning star. 17 To the Spirit and the bride say, Come. And those that hear, Come. Those that thirst, let them come those that will, let them take the water of life freely.18 Testify unto every man that hears the words of the testimony of Jesus Christ is prophecy. In this book, if any man shall add unto them, God shall add unto him the plagues written in this book:19 if any man takes away from the words of this book of this prophecy, God shall take away his part from the tree of life and out of the holy city. 20 He who testifies these things said, Yea: I come quickly. Amen: come, Lord Jesus. 21 The grace of the Lord Jesus be with the saints. Amen. In Mark 14:36, Romans 8:15, Galatians 4:6, ABBA FATHER YAHWEH GOD is OUR GREATEST FATHER GOD ALMIGHTY, THE BEST EXAMPLE OF FATHERHOOD MANIFESTED THROUGH HIS SON JESUS CHRIST FOR US ALL IN JESUS NAME. We thank you JEHOVAH Daddy God for your Faithfulness and Mercies to us and New every morning in Jesus Name. We Thank God for all beloved earthly Fathers and potential fathers. We give God Glory for father figures who mentor and guide many on the journey of life. God the Father is greater than all and excellent in glory. Jesus spoke in John 10:29-30, concerning Our Father God and His true followers and gives reassurance to the faithful. We Love you Father God for giving us wonderful fathers. HAPPY FATHERS DAY AS GOD IS A FATHER TO Fathers. We Praise FATHER GOD for giving wisdom to fathers to lead their families according to the Will and Blessings of God. So despite humanities failures, disappointments Father God Continues To Love and Correct, Forgives, Promotes His Children On Godly Terms. Although The Chosen Remnant Lets God Down, like every Loving Father, For the sake of Christ, God Restores Reconnects us all to Himself again and again because He does not want anyone to perish. A daily reflection on living history shows a stubborn rebellious, callous stiff-necked people do own things against God’s Will, Yet God, due to His Grace instead opens His Loving Arms Widely to those who come back to Him. So God’s Grace is still available and extended to many billions to accept His Divine Kingdom as His Beloved Children for eternity. End-time changes according to God’s Agenda is rapidly happening so be alert to fulfil God’s Work on earth. Events depicted by satan misinforms people to portray God in a different light as uncaring hard cruel master waiting to slaughter those who make mistakes. That is satan’s nature being projected wrongly onto God to deceive people from Loving God. So it is important to understand TRUE NATURE of God YAHWEH to yield personally to Christ whether a great great great great grandfather or a father. Father God has Jesus Head of the Church on earth Head of families in God’s Divine Kingdom and Divine Government Rule by Christ. God is Restructuring Globally all the nations and people to come under His Kingdom Authority. All fathers and father figures, continue to ensure you remain part of God’s Higher Plans and Thoughts to please and Obey God. And avoid GOD’S Wrath to come upon all those who reject God through Christ Jesus Name. Collecting too much junk information overburden so mind-boggling. The information super highway offloads 5,000 adverts per day in addition to posters, bill boards, docudrama etc. Too much information vies for our attention day and night in constant intermittent breaks in between news and documentaries selling various products and commodities. Also, received unsolicited nuisance spam junk mails, telephone sales, mambo jumbo small prints and rhetoric can cause mental pollution. Meanwhile, one may perhaps rack brains for answers to meaningless unanswered questions on universe. Overwhelming information is daunting as tons of materials in search of relevant knowledge trying to answer questions of life. Propaganda misinform by spin doctors surfing information landscape, brainwash to influence choices, decisions, sales profits, alternative underlying motives not working in favour. 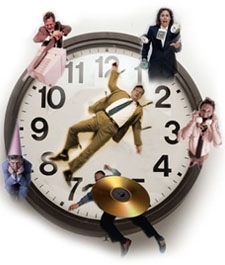 Every 16 minutes the media bombards people with info commercial. Negotiate life by steering clear of persistent aggressive lobbyists who drip feed minds with information to shift collective thinking check it if line with God’s Will. Plans and Purpose for your life. Mental pollution permeates all areas of a person’s whole life so toxic if not dealt with. Furthermore, the façade mask of perfection leaves no room for problems seen as weakness. People are required wear mask while smiling gleefully to hide the havoc of deeper issues underneath. Admittance by asking for help is frowned upon as incompetence. Hidden stress turmoil beneath surface affects motions of existence. Meanwhile, inside the mind people are hurting yet cannot plainly ask for help. So makes some people implode inside resulting in over obsession with problems within. Worry and anxiety affects mental alertness, selective memory, recall, causes forgetfulness, memory loss and eventually dementia by replaying life problems. Too much loud noise pollution overpowers thinking process so numbs ability for analytical logical reflection. Emancipate yourself from economic, mental slavery noise pollution to numb pain. Guard and protect your mind by having pure mind of Jesus. Wear the spiritual helmet of salvation to prevent negative thoughts nesting in your head. In urban cities especially, mechanised industries and electronic gadgets require non – stop use so switched on constantly. So like a physical contamination, mental pollution affects the mind unless cleaned up from cluttered thinking. Part of the problem is caused by holding onto past present and future thoughts simultaneously. So priority is required to focus on the immediate issue at hand first in terms of lifestyle, healthy eating, rest, work, play, sound sleep. Part of the problem of fear of letting go and letting God take control. So guilty feelings of dirtiness without physical contact with anyone. Unknown fear of life in general that become anxiety disorders if not tackled early to nip the negative thoughts in the bud to uproot them before taking deeper roots in the though process. In any case air pollution may impact mental health as the BMJ published a paper to examine whether higher past exposure to particulate air pollution impacts the mind. They found pollutants in the air affected the mind and in extreme cases caused health defects for generations. air pollutions causes deteriorating mental capacity of children. According to News Science & Scholarship in Poland. Engage children in healthy interaction to stimulate their mind to respond by performing challenges for progress. Children of mothers exposed to higher level of environmental pollution during pregnancy have more difficulties in learning than their peers according to the research conducted by scientists from the Jagiellonian University in collaboration with researchers from the U.S. Article on this subject has been published in the prestigious journal Environmental Health Perspectives. Detot mind and meditate by feeding on Bible soul food. The narcissism of modern living means people are encouraged to think liberally contrary to GOD’S WORDS. So fill mind with only of themselves not taking risk of letting others into their lives. People want to be sure those let in do not have ulterior motives to hurt them. So means empathy is eroded by fear of others. The few who enrich lives affect majority in painful experiences due to xenophobia fear and nepotism hatred. The media exaggerates and plays on divisive fears to further cause domino effect of already worse situation. So highlights negative reports to target unrest and confusion among people. This unfair treatment of the target audience manipulates unjustly those at the receiving end. Hence there is fear around certain people labelled in a particular way to depict symbolic of fear and aggression. This projection volatile narrative situation has big impact on the people who do not feel at peace around the overindulged selfish megalomaniacs. Both the person influenced and targeted person have mind-boggling experiences. Extreme mental pollution damages the potential person fed with such toxic information. So understanding becomes blurred unable to determine truth from manipulated exploited facts. A deeper level of understanding of self in a healthy positive manner is important. Switch off unused gadgets and recover the mind. Rather than feeling everyone is successful in life except you value yourself more. It is essential to keep your sanity no matter how you feel. The thoughts of the mind are a battlefield to be conquered daily to keep a level-headed mind. One cannot be engrossed by every issue in life. Some problems are beyond comprehension so best left at the feet of the cross of Jesus Christ. See God in everyone although your gut feelings may not agree. However, be always cautious if unsure before you let people into your life or among your circle of friends. Also, watch magazines you read, films you watch, games you play and negative thoughts you entertain. You can switch off a negative thought by cancelling with a positive alternative until your brain gets the message loud and clear. 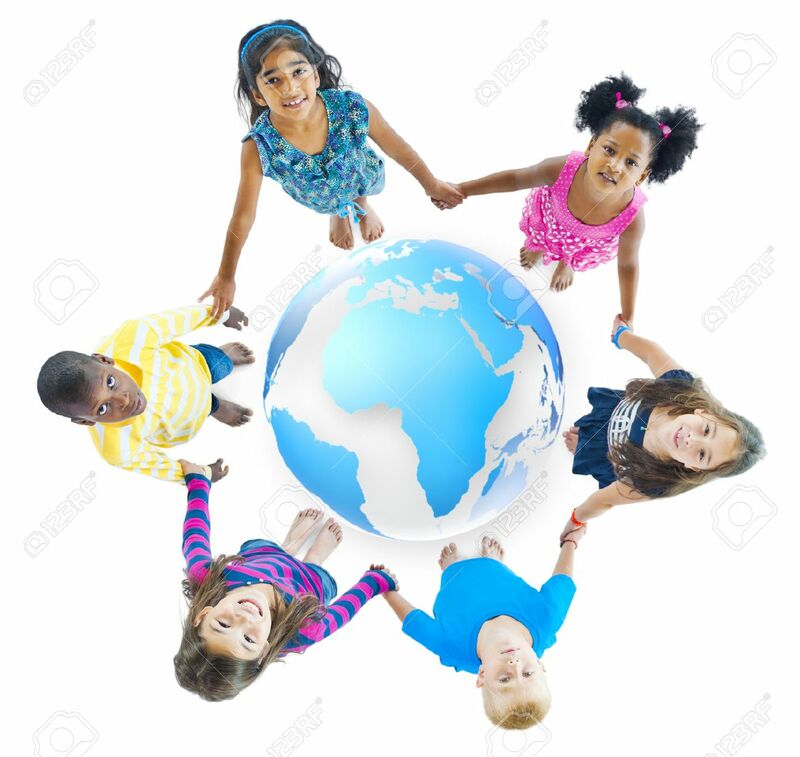 Watch what is said or talked about others especially in front of young children who assimilate information from parents, significant adults as the role models they admire and aspire to become. Even if you messed your life determine to help save your children’s or next generation from festering toxic relationships and comments imbibed for life.There is no need too remain unhappy in life because of unresolved issues in life. One cannot reach definite decisions or draw conclusions only based on certainty of life. Many people eventually recognise there are still many unknown and unknowable in life beyond human understanding yet lead normal lives..
Life does not consist of accumulated knowledge depended on to grasp all confounding knowledge beyond human understanding. Some areas of life are invisible undetectable entities belonging to God. So Vast is God’s Wisdom mankind cannot fully comprehend God with human minds. Therefore, do not torture yourself with the impossible quest to outdo God so reject God because God does not make sense according to level of understanding. Explanations and proof scientifically sanctioned by mankind is not the only real means of acquiring accurate knowledge. According to Romans 11:33, the Depths of God’s Riches and Vast Unsearchable Wisdom plus Store of Knowledge is Above human perception. So do not frustrate yourself and cram your head with assertions that intrude into reservations of God. Leave your life safely in God’s Hands for God has Higher thoughts and Plans Best for your life. Rest in God who says, do not worry about what to eat, wear, drink or where to live for God Knows you have need things so Will provide for you. Love life, exercise, read daily, learn something new daily, explore new foods if agreeable to your health and live life to the full. Make yourself available to volunteer to get outside yourself to prevent self absorption.Express yourself by unwinding in a healthy manner. If untreated or not properly vented mental pollution explodes out of control. 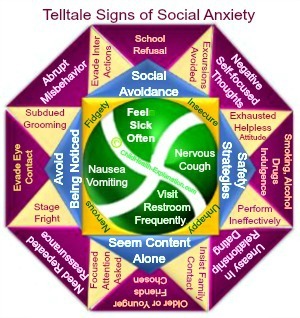 Seek professional help through confidential talking therapy and trauma prevention therapy, Reflect deeply on self neglect and long – term consequences of accumulation of toxic information. Be sensible, do not live life recklessly to make mistakes to regret later. It is impossible to logically reason God within limited human frame of reference. Reverence God, humble yourself and give God Credit for His Majestic Excellence Beyond Measure. God Suspends earth upon nothing according to Job 26:7 so Able to deal with all life circumstances. Despite scientific breakthroughs and great accomplishments of mankind some matters remain exclusive Sovereign Domain of God. Progress from knowledge is good but there comes point when people must yield to God directly in Jesus Name. That is God’s Utmost Desire for all mankind. In Matthew 24:22 God Promised, And except those days be shortened no flesh or nobody will survive but for the sake of God’s chosen ones God Will Shorten evil days. So stand on the word of God to call upon God to Remind God to Fulfil His Promise according to His Words. In Mark 13:20. One may know exact time or day because the various details exclusively Belong Only to God but that does not negate confidence and trust in God. God Chooses When to Reveal according to God’s Will, Plans and Purposes for mankind. 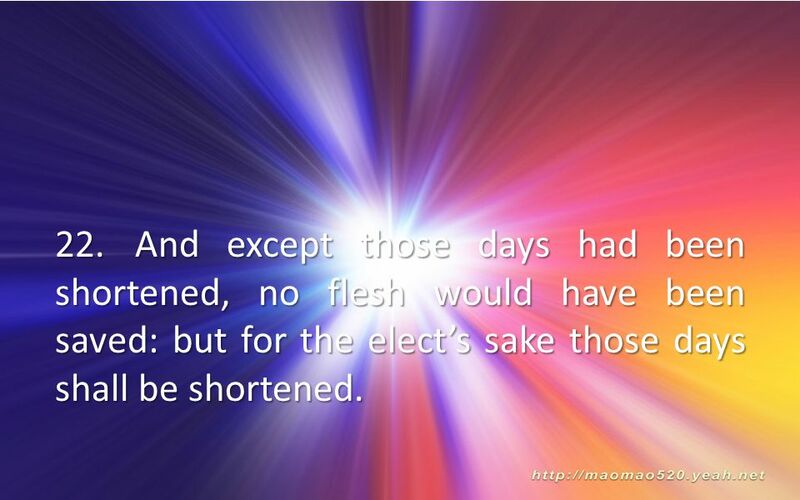 And except those days should be shortened, there should no flesh be saved: but for the elect’s sake those evil days will be reduced because of those whom God has chosen. As the rapid quick movements of succession of evil days abound globally, unseen evil unfolds daily. In John 14:16-24 Christ promises He would continue his care of his disciples by faith, love, caring, providing through His Love. Jesus guaranteed in John 14:18,26 to never not leave the believer comfortless but will come to you. In John 14:18 Jesus said I will not leave you as orphans, for I will come to you in a little while. Jesus said, Matthew 18-20 Jesus said these words because, “All power in Heaven and earth is given unto Jesus, go therefore and teach all nations, baptizing them in the Name of God the Father, the Son and the Holy Spirit. 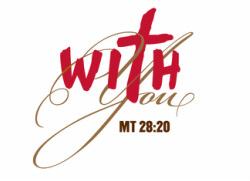 Jesus” Said’ I will be with you.Until the End of the world. Jesus said also when you see evil multiplied as never before know your salvation is near even at your door. In Matthew 24:33 Jesus said even so, when you see all these things, you know your salvation is near, even right at the door. So when you see all these signs, be sure that Jesus is near at your very door. All those who see the Lord Jesus with an eye of faith, worship him. Jesus taught endurance must precede and continue throughout the evil times. Jesus said, I am the door; if anyone enters through Me, he will be saved, and go in and out to find pasture. In Revelation 3:20 Jesus Said, I stand at the door of your life so knows you personally by name according to Isaiah 45:1-7. Jesus said I will be with you until the end in Matthew 28:18-20 and teaching all disciples to obey everything taught in the word of God. 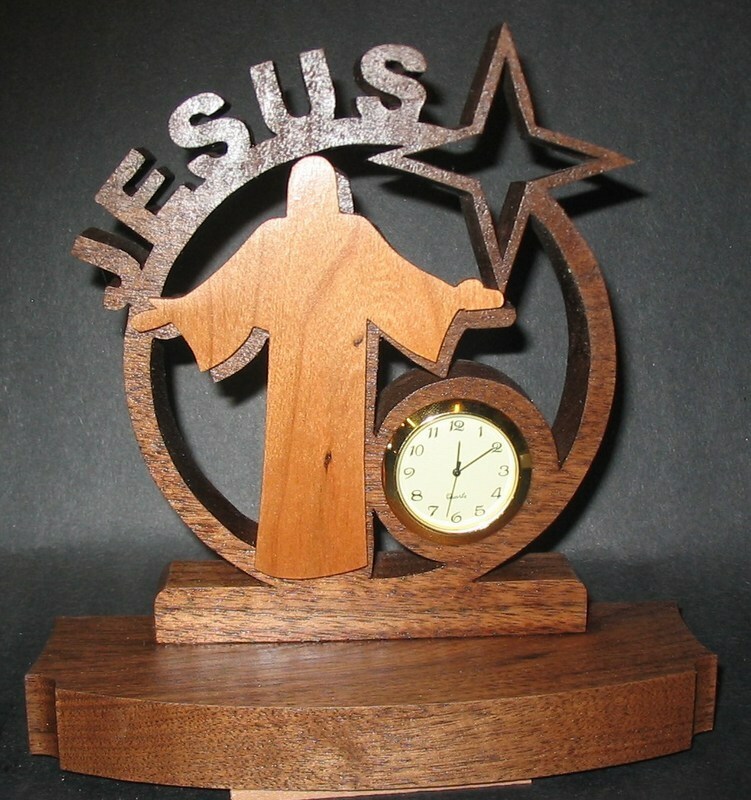 “And remember that Jesus is always with you until the end of time.” So connect with Jesus to be with you to the end of the “world.” Pray affirmation prayers that God Will Shorten days over and over. All these point towards the warnings Jesus predicted would happen before His Return. So prayed Father God Shall give you another Comforter, the Paraclete from the Father to be within and around you. Jesus Christ the Righteous, One continues to send the Holy Spirit through impartation as the disciples received in the Upper Room in Jerusalem. They waited for the gift the Father promised, which you have heard manifested in 3000 on the day of Pentecost. One may not be perfect but Christ ensures one is not abandoned by God. Jesus has gone into heaven at the right hand of God with angels authorities. The Father Loves the Son so gives all things into His hand. Believe Jesus lS WITH you every day until the end of this present age. For Jesus Will not leave you until He has done what He promised. Remember all suffering for Christ for righteousness sake, justice, in pain as though Christ is in pain Himself with them. Those mistreated in the body of Christ, Jesus said, “I am the way, and the truth, and the life. Behold, Jesus is with you always to the end of the age. He will not leave you or forsake you until all the work for the service of the house of God is fully completed and done. Even during trials or temptations God Provides way of escape, to be able to endure. Lift thoughts and meditation to Jesus Who says, “I am with you till the end of the world. Jesus, Himself said, “I am with you always until the end of the world undertaking to bring light to all nations through God’s Accomplishment. Concerning Christ’s second coming, it is foretold there shall be a great tribulation though they laugh now, they shall mourn and weep in endless horror and despair. 21 “For then there will be a great tribulation, such as has not occurred since the beginning of the world until now, nor ever will. 22“Unless those days had been cut short, no life would have been saved; but for the sake of the elect those days will be cut short. 23“Then if anyone says to you, ‘Behold, here is the Christ,’ or ‘There He is, do not believe him. For the elect’s sake God’s plans will succeed but satan’s plans will fail. God Promised to actually speed up time of events to shorten the length of time of enduring adversity. In Luke 18:7, And God Will bring about justice for his chosen ones, who cry out to him day and night God Will Remember to Keep His Promise. Those who will not hear messengers of peace, shall hear the messengers of war. Believers whose heart is fixed in Christ, trust God, to keep them in perfect peace that passes all human understanding in the midst of adversity. God’s Peace is not afraid for the mind of Christ is within His people even in troubling times. When we looked forward to the joy of heaven in eternity, the misery of evil times pales in comparison. The obstinate who reject Christ and His Gospel, face the greatest judgement especially after the beginning of sorrows. So comforting to endure even to the end. Our Lord foretells preaching of the gospel in all the world. The end of the world shall not be until the gospel work is done fully. 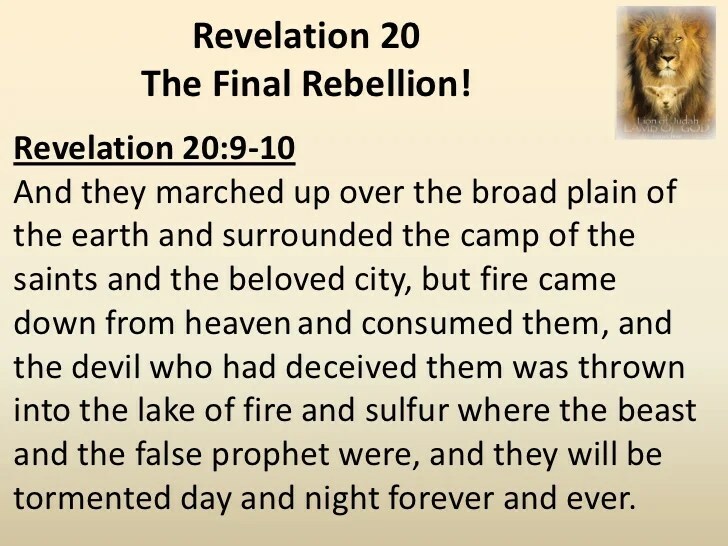 Christ foretells the ruin coming upon the people of the Jews and unbelievers. So necessary to support, help and bless the Jews in times such as these by all disciples. Christian conduct for their comfort encourages God to open doors of escape. God knows when to help make escape by trusting God as Christ’s disciples. God Promised to shorten the times of evil in times of public trouble, to pray more but also reach out as we can in season. God’s Heart Rejoices when His Children, in a special manner during distress on every side, reach out in love, as if doing it unto the Lord Himself. Through endurance and faith in God, Christ sends strength in prayer to endure sufferings. Trying times and evil times happen to the righteous doing God’s work in solemn service and worship of God. God’s Comfort, for the elect’s sake in the evil days shall be made shorter than enemies designed or desire. Without God’s help the enemy would have cut all off if God Does Not Intervene to shorten the time. Evil workers serve own purpose without consideration for foes so have no bounds to evil works. Christ foretells rapid spreading of the gospel in the world angers and enrages the devil who sees hell empties and people in his clutches saved. The Glorious Light of the Gospel of Jesus Christ sets free from spiritual blindness and darkness. Christ preached gospel openly. 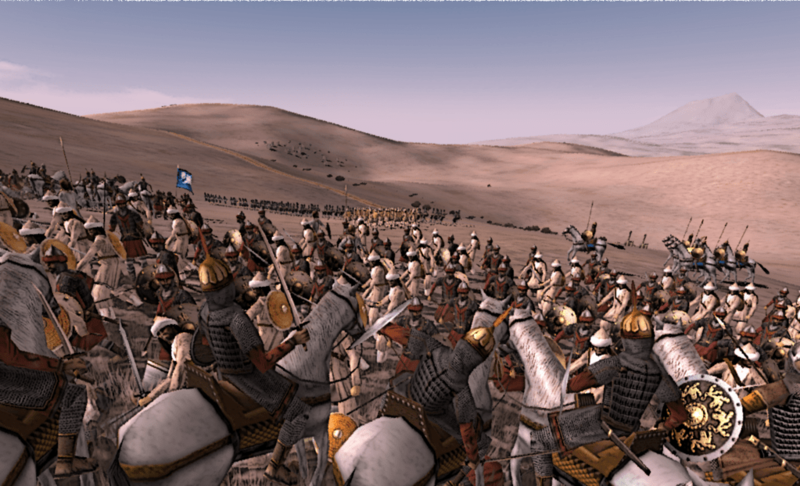 despite Romans adversaries like armies of eagles ready to pounce on Him. God delivers people who by their sin become potential loathsome carcasses for the devil. The Grace, Mercy and Compassion of God delivers from expected ruin because God Rescues from enemies and destroy them. God’s wrath is reserved to the day of judgement by the coming of our Lord Jesus Christ. In the end believers win despite what the situation and circumstances may seem like. In 2 Kings 6:8-22 Elisha lived between 845-800 BC in the Bible and in verse 8 the king of Aram was at war with Israel. After conferring with his officers, he said, “I will set up my camp in such and such a place. 9 The man of God sent word to the king of Israel: “Beware of passing that place, because the Arameans are going down there.” 10 So the king of Israel checked on the place indicated by the man of God. Time and again Elisha warned the king, so that he was on his guard in such places. 11 This enraged the king of Aram. He summoned his officers and demanded of them, “Tell me! Which of us is on the side of the king of Israel?12 “None of us, my lord the king,” said one of his officers, “but Elisha, the prophet who is in Israel, tells the king of Israel the very words you speak in your bedroom.”13 “Go, find out where he is,” the king ordered, “so I can send men and capture him.” The report came back: “He is in Dothan.” 14 Then he sent horses and chariots and a strong force there. They went by night and surrounded the city. 15 When the servant of the man of God got up and went out early the next morning, an army with horses and chariots had surrounded the city. Oh no, my lord! What shall we do?” the servant asked. 16 “Don’t be afraid,” the prophet answered. “Those who are with us are more than those who are with them.”17 And Elisha prayed, “Open his eyes, Lord, so that he may see.” Then the Lord opened the servant’s eyes, and he looked and saw the hills full of horses and chariots of fire all around Elisha. Elisha blinded the Arameans 18 as the enemy came down toward him, Elisha prayed to the Lord, “Strike this army with blindness.” So God struck them with blindness, as Elisha had asked. 19 Elisha told them, “This is not the road and this is not the city. Follow me, and I will lead you to the man you are looking for.” And Elisha led them to Samaria and trapped them. 20 After they entered the city, Elisha said, “Lord, open the eyes of these men so they can see.” God opened their eyes and they looked, and they were, inside Samaria. 21 When the king of Israel saw them, he asked Elisha, “Shall I kill them, my father? Shall I kill them?”22 “Do not kill them,” he answered. “Would you kill those you capture with your sword or bow? Set food and water before them so that they may eat and drink and then go back to their master.” 23 So he prepared a great feast for them, and after they had finished eating and drinking, he sent them away with provisions of kindness so they returned to their master. The bands from Aram stopped raiding Israel’s territory. Elisha’s good treatment plus gifts stopped wicked acts of the enemy. In the Bible 2 realities exist side by side as the seen and unseen realm described in 2 Corinthians 4:18. The unseen realm is more real than the seen realm. So fix eyes not only on what is seen but also on what is unseen. For God’s heavenly realm is actually more real than the temporal realm we live in. In Psalm 34:7, the hosts of Almighty God encamp around those who fear God. God Delivers so glorify and lift up God’s Holy Name with words, songs to lift God highly. Those who put confidence in chariot and horses cause damage to innocent people as those who tried to kill prophet of God and God’s people. God’s Supernatural Power of Protection is Greater than all human efforts combined in Jesus Name. 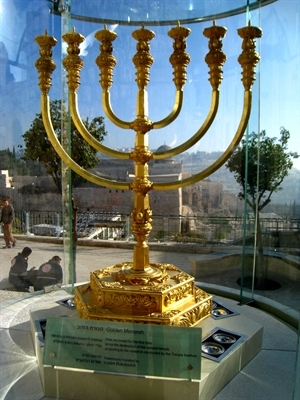 This Menorah lamp stand is 45kg gold from 24 carat gold ready for the Temple for Jesus’ Second Coming. The menorah is a symbol of the light of revelation of God’s Truth. God commanded Moses to make it out of gold according to the pattern shown him on Mount Sinai. Gold symbolizes precious great value and it is a metaphor for purity in the Bible. The fire in the Menorah represents the fire of the Divine Light spreading throughout the entire world, beginning with Israel. Godliness fire is symbolic of God refining His people so that they may be as fine gold. God is the refiner and purifier so He will purify the Levites and refine them like gold and silver. The LORD will have men who will bring offerings in righteousness in Malachi 3:3 with a pure heart and conscience. God does not want people exploited in His Name for any reason. Smelted gold is poured into moulds to remove the dross. The 7 lamps lit on Menorah in Godly Jewish thought, 7 stands for perfection or completion. The Book of Revelation speaks of 7 golden lamp stands in a vision God gave to John: “And I turned to see the voice speaking with me in the midst of 7 golden lamp stands in Revelation 1:12. This seven golden lamp stands represents 7 congregations in Asia Minor in Revelation 1:10–11, 20. God warned, He will remove the lamp stand of a congregation if they continue in sin and refuse to repent. Yeshua Jesus told the church at Ephesus I am coming to you and will remove your lamp stand out of its place unless you repent and become purified like gold in Revelation 2:5. Jesus’ followers grow in obedience shining by love, joy and peace more and more like Yeshua the beacon of hope to make others desire the Source of God’s Goodness. So we must obey the Lord in purity in our attitudes, our speech and our ministry. In the Parasha the Levites who serve God in the Temple had to be cleansed and purified before beginning their ministry. “The LORD spoke to Moses, ‘Take the Levites from among the children of Israel and cleanse them ceremonially. Thus you shall do to them to cleanse them: Sprinkle water of purification on them, and let them shave all their body and let them wash their clothes, and so make themselves clean in Numbers 8:5–7. God took Levites as His own in place of first born spared during 10 plagues in Egypt. Most defiled their hearts and spirits when they worshipped the golden calf. The Levites did not worship the calf so stayed faithful and true to the God of Israel. So were given reward work of service in the Tabernacle instead of Israel’s first-born sons. 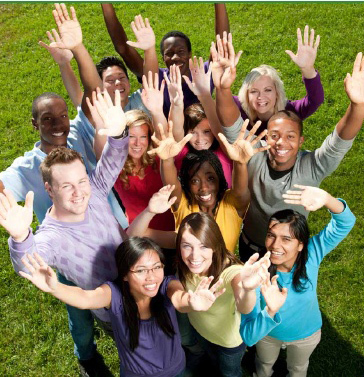 Levites from age 25–50 quality to serve in the Tabernacle. After 50 Levites required to retire from active duty. They could stand guard, sing, lock gates and load the wagons but could not serve in the Tabernacle. So in 1 Kings 7:51, when all the work King Solomon was done for King Solomon’s Temple for the LORD, all the vessels, were gold and stored them in the treasuries of the house of Lord. 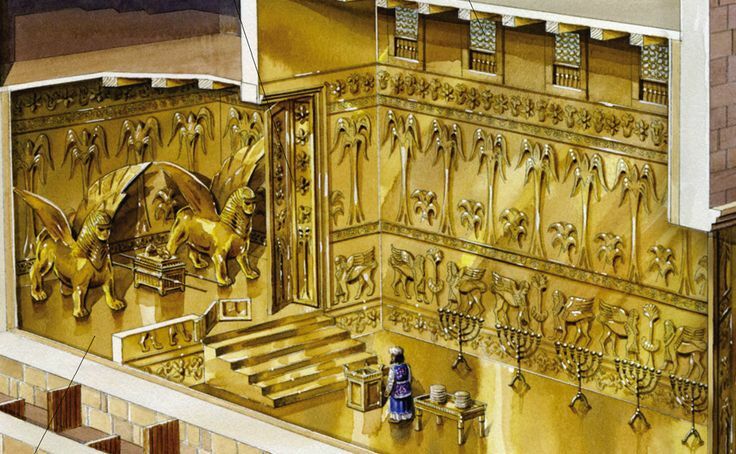 Solomon was so rich he used gold to build parts of the temple decor. In 1 Kings 10:21, 2 Chronicles 9:20, All King Solomon’s goblets were gold, and all King Solomon’s drinking vessels were of gold, and all the vessels of the House of the Forest of Lebanon of pure gold so nothing made from silver not considered valuable. All King Solomon’s drinking vessels were of gold, and all the vessels of the House of the Forest of Lebanon were of pure gold. God enriched many people in the Bible so made them very wealthy from the richest man Adam who owned the whole world entrusted to him to other examples of Godly people blessed with great wealth. 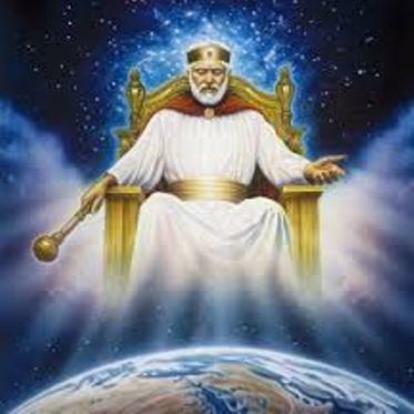 Solomon was one of the greatest examples in the bible of a person who God blessed with wealth, is King Solomon. It is recorded Solomon surpassed all kings of the earth in riches and wisdom in 2 Chronicles 9:22. He had so much gold and was so wealthy that in his time the value of silver became worthless in 2 Chronicles 9:20. God gave Solomon, the son of King David, wisdom. and far MORE than understanding heart to judge the children of Israel. God blessed him by making him rich. Solomon the king had God appeared to him and offered to give him anything he asked for in 1 Kings 3:5. He requested wisdom in verse 9 to fulfil his responsibilities as king over all Israel. God’s response to his selfless request was amazing and unique. in verse 12 God Promised to do what you have asked.So gave Solomon more wisdom and understanding than anyone ever before or ever again. in verse 13 God gave Solomon what he did not ask for: all your life you will have wealth and honour, more than that of any other king in 1 Kings 3:10-13. God not only promised to make David’s son the wisest man ever lived but made him rich. He was the wealthiest king that ever lived made rich through commerce and trading, gifts received, tribute money paid to him and heavy taxation. King Solomon built a fleet of ships at Ezion Geber. Hiram King of Tyre sent servants with fleet, seamen who knew the sea, to work with the servants of Solomon. And they went to Ophir, and acquired 420 talents of gold in 1Kings 9:26-28. King David was blessed by God yet praised and worshipped God. Psalms give insight into mindset of David regarding wealth. He is the one who wrote about God’s seed never begging bread in Psalm 37:25. He recognised God as provider in Psalm 23:1 and proclaimed in time of famine the righteous would have more than enough in Psalm 37:19. David was a man after God’s own heart in Acts 13:22. David died in old age so enjoyed long life, wealth and honour in Chronicles 29:28. Joseph was a prosperous man ever before his material wealth was evident in Genesis 39:2. In the midst of his challenges, Joseph displayed humility and good moral character. God remembered Joseph and turned the evil for his good so that by the time he was 30 years old, he was placed as second in command over the whole of Egypt. The bible records that he eventually gathered all of the money in Egypt by selling grain in Genesis 47:14. Through the wisdom God had placed in him, Joseph was able to foresee the future economy of the land and save the country. Abraham walked with God and was called the friend of God in James 2:23. God likes having super rich friends because the bible states Abraham was very rich in silver, cattle and gold in Genesis 13:2. God continued to prosper him as he grew greater and God blessed him in every way in Genesis 24:1. He had so many servants so able to form own army to go to battle in Genesis 14:14. Abraham was blessed to be a blessing, his material wealth grew so large he and his nephew Lot had to part ways because the land could no longer accommodate them in Genesis 13:6. Those of faith are blessed with faithful Abraham. Isaac like his father, Isaac walked in the Abrahamic covenant blessing of spiritual blessing, material riches,so during a time of famine and dryness Isaac prospered. Whilst others suffered lack, Isaac sowed in the land and reaped a 100 fold harvest same year in Genesis 26:12. Isaac grew so great the Philistines began to envy him. He was forced to leave the land yet everywhere he went he carried the blessing with him in Genesis 26:17-32. Job in the bible was a righteous man in Job 1:1. He was tremendously blessed by God with a wealth of possessions, known as the greatest man in the East in Job 1:3. Despite turmoil, Job remained loyal so God restored his fortunes giving him double the wealth than before in Job 42:10. despite this wealthy examples, in Matthew 19:23-24, Mark 10:25, and Luke 18:25, Jesus said it is much easier for a camel to enter the eye of a needle than the rich enter harder for a rich man to enter the Kingdom of God than for a camel to go through the eye of a needle. One of the gates into Jerusalem named “The Eye of the Needle,”was quite difficult to negotiate, because it was quite small. So Jesus said “for a rich man to enter the Kingdom of Heaven was almost impossible to tag along wealth while going through the gates of God’s Kingdom. It is more difficult because they trust and put their confidence in money, assets and riches often more than in God. So this interpretation makes sense because “Eye of the Needle” was indeed a narrow gateway into Jerusalem. 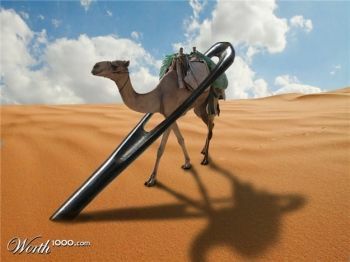 Since camels were heavily loaded with goods and riders, they would need to be un-loaded in order to pass through. The analogy is a rich man would have to similarly unload material possessions in order to enter heaven. The point about the narrowness of the gate meant a rich man must off load riches to pass through heaven. So a rich man needs to be free himself of his possessions in order to enter paradise. The eye of the needle used to be in Damascus and was a side gate alongside the main gate of the “street called straight.” This side gate was not intended for passage by animals especially camels carrying side loads. So impossible for a camel insisting on going through with all the extra baggage not needed for salvation to happen in heaven. Those who cling to wealth above God will not make because they cannot buy God.Jesus often taught using everyday familiar situations to relate the Gospel message to make it simpler to understand and remember. Jesus was indeed talking about an actual needle because the principle of trying to force a camel through the narrow gate is exactly similar to trying to push a literal camel through a sewing needle. The Greek word translated “eye” is a word that literally means a hole. The Greek word translated needle is the word for an actual sewing needle. God has nothing against anyone or a respecter of persons. God treats the rich and poor exactly the same for salvation so does not discriminate against rich people. God, provides the same way Jesus Christ for the rich people to enter Heaven. So it is very possible for a rich person to enter Heaven. The key issue is entry into Heaven by faith in Christ, through God’s grace, mercy, power and trust in Christ. Those putting their confidence or trust in savings account, jobs, pensions, material possessions find it difficult to let go to share with others and trust in God to provide for them. Some rich people’s source of wealth is displeasing to God because they deprive God’s children from God’s super abundant provisions for all on earth. 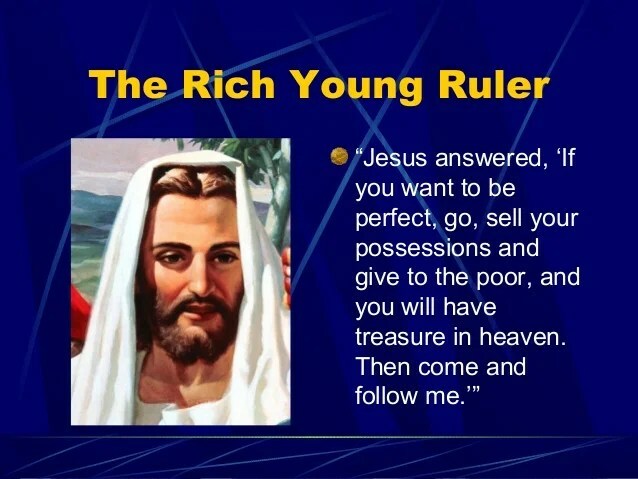 Jesus says wealth creation must bless all people fairly, Therefore, wealth must not cause sorrow, loss, pain, grief, deprivation by those enriching themselves through greed. 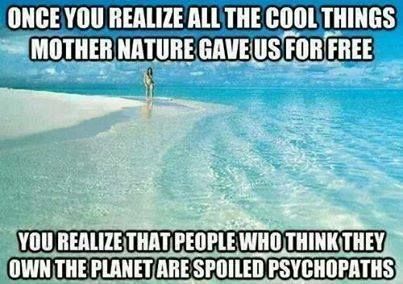 Wealth pursuit must not cost earth or destroy people. 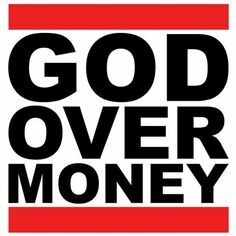 So genuine wealth creation must choose confidence in God above mere wealth because they cannot serve both God and mammon money riches. It is true it costs millions of dollars to run a church, pay staff, maintain premises and sustain less fortunate yet God is able to Provide. So income for the church is essentially necessary but not sole message of prosperity at the expense of God. Jesus was provided for by rich friends and families who prepared places and meals for disciples. Jesus tells believers to rely on God to provide all needs according to God’s Riches in Glory by Christ Jesus. The Rich Fool in Luke 12:13–21 in the Bible was evil, wicked and stingy so refused to share freely yet it is better to give than receive because one grows more God Richer by giving. The rich fool however misunderstood took God’s Rich Provisions as for his greedy self-serving super abundance. He was entrusted as God’s steward to respect and fear of God the owner of all silver, gold and cattle on a 1000 hills as conduit to bless many people. Instead he selfishly aggrandized himself and made more austerity plans to dupe the people. God took his life that same night and called him a rich fool because he had more money than sense. 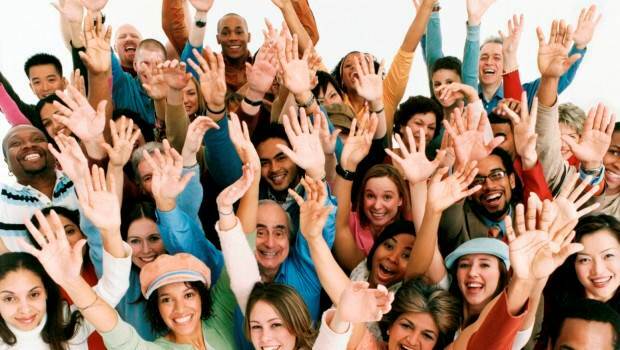 So those in places of authority by audacity putting their trust and confidence in money causing financial hardships, suffering and death by austerity measures God is shaking the nations and coming back to take over Divine rule on earth through Jesus Christ. Be God Rich to honour God the Great Provider who already provides countless zillions of resources for His priceless creation. 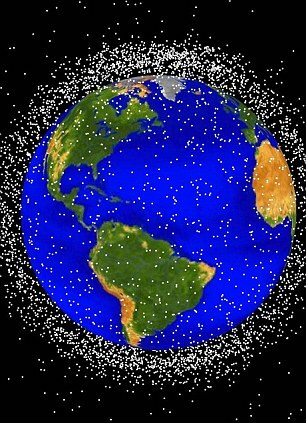 Nasa image shows cluster of the pollutants floating around the earth. God has set time aside to destroy all who caused destruction on the earth. So all that dwell on the earth the time will be come when God will judge people in Revelation 11:18. These nations angry with each other destroy earth thinking they destroy their enemies. Instead they destroy God’s property because all earth belongs to God. God’s wrath is going to be unleashed on earth and for further destruction of destroyers of the earth to get rid of them forever by Jesus. Those who amass wealth and property beyond measure but others are homeless so not properly cared for one day condemned by God. In Isaiah 24: 5-6, God’s word says in Bible that all polluters of world destroying earth accountable to God. The land is polluted by the inhabitants and God holds all responsible or guilty of the destruction. God will judge these policy makers encouraging destruction of environment that ruin it according in Revelation 11:18. So will give account to God of landfill food depriving others of the nourishment by polluting their land with rubbish waste. A pollutant is any substance that, when in an environment, poisons our air, land and water. Chemicals have poisoned all of the world, harming humans, wildlife, and plant life, on land, sea and air. Approximately 100,000 synthetic chemicals are on the market, with 1000 new chemicals added yearly. Although companies test toxicity of their products individually they do retain existing pollutants in the environment. Compounds are altered in combination with others, but the effect of these combinations are not tested or studied. Pesticides, designed to kill insects, weeds and fungus, are also toxic to human nervous systems, and are linked to many cancers and the reproductive, developmental, and neurological and these immune-system damages. 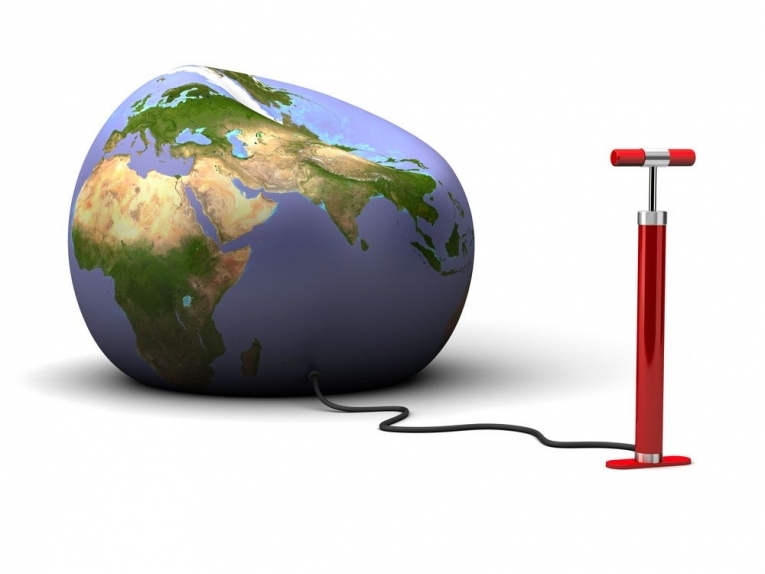 Every chemical used, substance produced, in manufacturing, farming, energy use, or consumption, remains here on Earth. These poisons may seem to disappear but they are only hidden from view. The most remote outpost on the planet witnesses first hand, the shredded tyres and plastic bottles punctuate the vast expanse of the Gobi desert; plastic bags ride the currents in the middle of the Pacific; spent oxygen canisters and raw sewage mar snows of Mount Everest. 1,000,000 tons of plastic is floating in the oceans damaging plants and animals. The world is tainted by pollution in environment into realms of sky, land freshwater and ocean. Pollution is the main reason approximately 40 percent of the rivers, lakes, and estuaries surveyed are not clean enough to meet basic uses such as fishing or swimming. And these latest National Water Quality Inventory indicates that agriculture is the leading contributor to water quality impairments, and this is responsible for degrading 60 percent of the impaired river miles and half of impaired lake acreage surveyed by states, territories and tribes. Run off from urban areas is the largest sources of the water quality impairments to surveyed estuaries. Pollution and disease go hand in hand. In fact, about 40 percent of deaths around the world can be attributed to air, water and soil pollution. The Blacksmith Institute and Green Cross Switzerland ranked the planet’s most severe pollution threats and the health problems that is associated with them. Research on the regulations of synthetic chemicals and the pollution focuses on dangers of genetic mutation, gross birth defects and cancer. Wildlife studies and laboratory experiments provide solid evidence synthetic chemicals contribute to these dwindling wildlife populations disrupting hormones or altering sexual development, impairing reproduction, undermining immune system of plants and destroys nutrients causes a drought cracked patched land without rains. Toxin of altered plant kills beneficial insects like monarchs, lace wings and lady bugs. The plant exudes toxin into the soil. This changes soil biology affects nutrient cycle processes and soil fertility. Cross pollination between GEOs and wild relative establish engineered genetics modifies nature causing these irreparable damage to land and natural habitats forever. Genetic add resistance to modern weed killers or pests spread to nearby weeds, creating new invasive plant could replace native plants. But toxin genes spliced into plant resistance to these insect infestation. Nations have practical ethical objections and rights to stop genetically engineered organisms (GEOs) into polluting the environment. These ecological concerns often also include such irreversible effects on thw environment if genes spread to other plants or drought. Air pollutions can, unfortunately, also affects water, and therefore cancels out any hope that the perfectly clean freshwater bodies exist. “If one looks at pollution broadly, then it’s unlikely there is pristine catchment anywhere that has not been polluted, because anthropogenic influences like air pollution have really gone all over the world,” and says Thomas Chiramba, chief of the freshwater ecosystem unit at the United Nations Environment. Those fracking earth, exploiting gold oil, pouring poisonous substance to destroy earth using mercury. Those who amass such arsenals of the weapons of mass destructions to destroy others will be destroyed by God for the earth is the Lord’s. There is still a massive pollution caused hole in the ozone layer hovering over Antarctica, and deposits of black carbon can be readily spotted on that continent’s snow. So if air there is likely the cleanest, it’s by no means pristine. The eyes may not fully see the depths of damage caused by earth polluters. 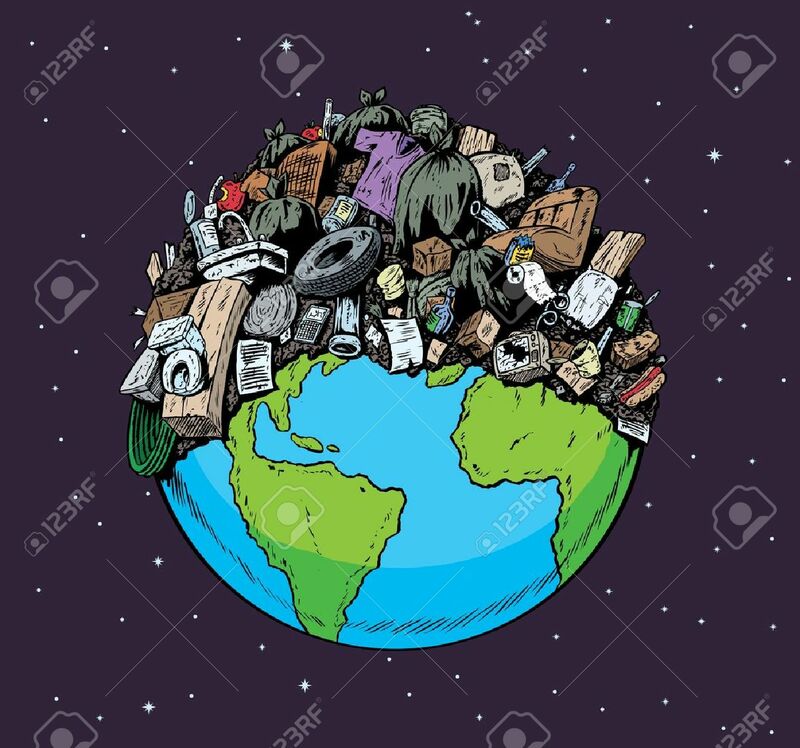 Land pollution, in other words, means degradation or destruction of earth’s surface and soil, directly or indirectly as a result of all these human activities. Anthropogenic activities are conducted citing development and employment for higher standards of living to improve life. Yet on the contrary history shows that these destructive damaged and abandonment effects of land drastically witness land pollution. 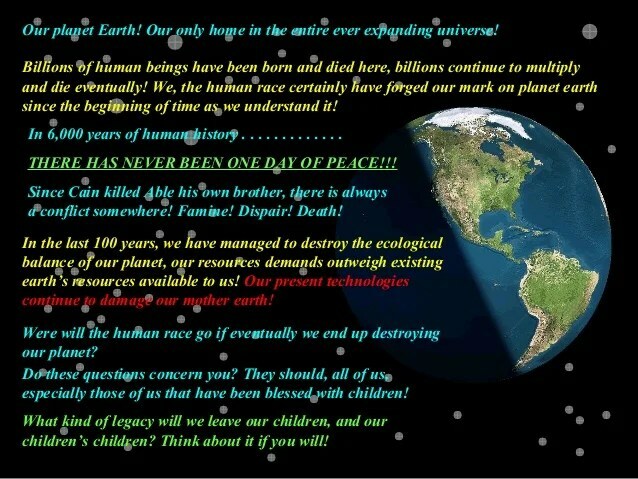 Urgent drastic education required for bring awareness people know the consequences affecting globally. Make people aware about concept so they Reduce, Recycle and Reuse. Reduce pesticides and fertilizers in agricultural activities. Avoid buying packages items will reduce garbage and end up in landfill site. Ensure you do not litter the ground by doing a proper disposal of garbage rubbish. Buy the biodegradable products. Do Organic gardening and eat organic food that will be grown without the use of pesticides. Create dumping ground away from an immediate local residential areas. Several creatures still survive under the land too. Disrupting the harmony of land, is disrupting their habitat. This has led to several creatures reaching many endangered status like Gilbert’s Potoroo in Australia. We walk and survive on land. It is literally the base of our ecosystem. It is in our good interest to take care of it and nurture it. Other issues that we face include increased temperature, unseasonal weather activity, acid rains etc. The discharge of chemicals on land, makes it dangerous for the ecosystem too. These chemicals are consumed by the animals and plants and thereby make their way in the ecosystem. This process is called bio magnification is a serious threat to ecology. Soil pollution is a form of land pollution, where the upper layer of soil damaged. This is caused by overused chemical fertilizers, soil erosion caused by running water and other pest control measures; this leads to loss of fertile land for agriculture, forest cover, fodder patches for grazing etc. 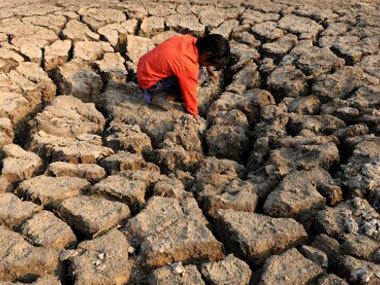 Change in climate patterns affects land pollution so hazardous and leads to loss of ecosystems. Land polluted directly or indirectly always affects the climate and carbon patterns. Environmental impact causes deforestation as tree covering compromised. It leads to a steep carbon imbalance in the rain cycle. A disturbed rain cycle affects lots of factors, green covering is reduced. Trees and plants help balance atmosphere without them we are subjected to various concerns of global warming green house affect irregular rainfall and flash floods among other imbalances. Photochemical air pollution referred to as smog cause asthma, lung cancer, heart disease and harms grow-up process of children. Effect on human health when the land is contaminated with toxic chemicals and pesticides leads to problem of skin cancer and human respiratory system. The toxic chemicals can reach our body through foods and vegetables that we eat as they are grown in polluted soil. Landfills across the city keep on growing due to increase in waste later burned which leads to air pollution. They become home for rodents, mice etc which in turn transmit diseases. This causes distraction for tourists so the city looses attraction as tourist destination is land filled so does not look good when moving around the city. It leads to loss of revenue for the state government and freedom of movement and multi-human interactions globally. In most urban cities these three main sources of the toxic pollutants are from transportation mainly auto mobiles, trucks, buses. Burning of waste food or unused items in stationary sources, including residential, commercial, and industrial heating and cooling. Coal-burning power plants and the trash incinerators In some states even trash barrel burning is lawful. Motor vehicles produces very high levels of carbon monoxides (CO) and a major source of hydrocarbons (HC) and nitrogen oxides (NOx). Burning in stationary sources is the dominant source of sulfur dioxide (SO2) and dioxins means 1 millionth of an ounce will kill a human. Power plants emit about 90% of the sulfur dioxide and 57% of the nitrogen oxides in the US. Chlorofluorocarbons CFC’s, known as Freons are greenhouse gases contributing to global warming. Planet earth is the only one with resources for sustainable life so respect and value it to preserve it for the future for healthy environment for legacy for posterity.